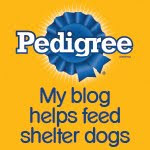 Today the good folks at BlogPaws are celebrating "Look-A-Like Day": Do you look like your pet and vice versa? Let us know if you and your pet share similar good looks...and send a picture along! Do you think we look alike—maybe a bit around the hair? We both have brown eyes and kinda wild eyebrows! 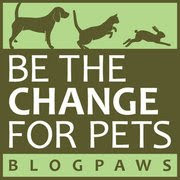 Whatever...Let's go visit our friends at the BlogPaws Wordless Wednesday Pet Blogger Hop! Well, me and momma usually do dress in matching colors. I definitely see it around the eyes and the wavy hair. The hair is a definite! Definitely in the furs and hair.